Is your next destination New South Wales? Narooma is the best town to stay and this holiday park will give you the perfect place to stay. 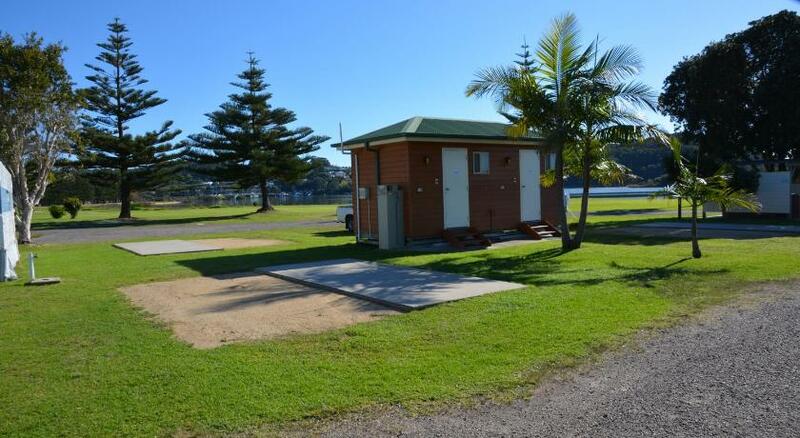 BIG4 Narooma Easts Holiday Park is suitable accommodation that is the greatest for your accommodation needs. Offering an outdoor pool, seasonal outdoor pool and barbecue, BIG4 Narooma Easts Holiday Park is located in Narooma in the New South Wales Region. 14.3 miles from Bermagui. The accommodation is air conditioned and boasts a seating area. A flat-screen Television and DVD player are available in some units. There is also a kitchen, equipped with an oven and microwave. A toaster and fridge are also available, as well as a kettle. Towels and bed linen are offered. This property has been online since Jun 5, 2015.